As you consider your marketing strategy for 2016, you may encounter conflicting information about email marketing. Some marketers think that email marketing has overplayed its hand, while others are gung-ho about the potential of the technique. I’m in the latter group. Email marketing has huge potential, but like any tool, your results will vary based on how you use it. Strategy: Less is more here. 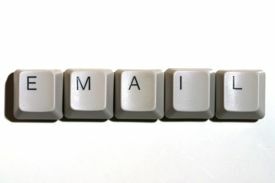 Use email marketing, but don’t use it indiscriminately! Planned email campaigns with targeted messages are more meaningful and useful to this demographic than anything else. Mobility is king! 75% of Gmail users read their email on a mobile device. That’s big, when you consider that there are nearly 1 billion Gmail users. Here’s more: two-thirds of users prefer image-heavy emails over text-heavy ones. Takeaway: email is appealing to people on the go, so take advantage of that. Strategy:Design email marketing campaigns that are mobile-friendly and image-conscious. By that, I mean make sure your outbound email (complete with graphics and images) will look good on mobile devices. Avoid big image files that require heavy downloads. Compromise by using meaningful, mobile-friendly colors and designs. Know your customers. That’s good advice in any business, but when it comes to email marketing, know that one-third of your recipients will open your email on an iPhone, and 53% will open your email on an Apple device of some kind. Another 25% will open your email using Gmail or a Google Android device. 78% of your email recipients use two platforms. Strategy: if you have to make choices about how your email will look when it’s received, go with the choices that look best and operate best on the iOS and Android platforms. If you’d like more information about email marketing and how you can put it to work for your business, please contact our Creative Director, Dave Ramsell or give Dave a call at (330) 243-0651 to set up a consultation.